As the government closed its doors for what would be a 16-day shutdown, housing experts worried about what would happen to the still-fragile housing recovery as a result. Now, with government services and agencies back in full force, a slow down in mortgages seems to bear out some of their concerns. 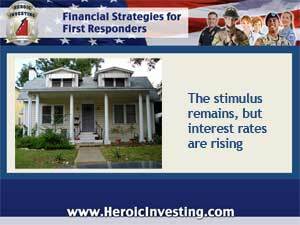 But even with the intervention of the stimulus and its artificial push to lenders, interest rates have been climbing – from near-historic lows of around 3.5% a few months ago to around 4.5% and above. And while that’s still relatively low compared to the rates that might hold without the stimulus, it’s enough of an increase to depress mortgage applications.